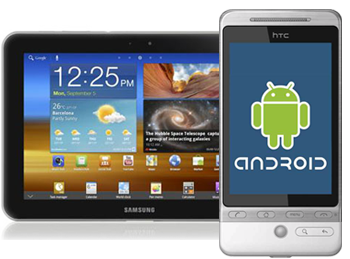 Android offers an excellent opportunity for huge customization and collaborative development. Businesses that are serious about the future or those who believe in continous growth from Android. Google has revolutionized the smart phone industry with its Android Operating System. Android is an open platform with the philosophy "all applications are created equal", which means Android does not distinguish between core and third-party applications. An Android app can seamlessly integrate features available on the phone like camera, contacts, GPS, accelerometer, magnetometer etc with data from the web. Android was created to run on a wide range of devices from mobile phones to tablets and does a good job of not making too many assumptions about the underlying hardware. Android is a multi-tasking OS that allows background processing. However, unlike a desktop system that can have unlimited virtual memory through swapping, a mobile device has hard limits on maximum available memory. So in order to achieve the multi-tasking effect, Android saves the application state when the user leaves an app. Android will kill (brutally!) the least recently used background process when the phone is running low on memory. When the user returns to the app, it is quickly loaded with the last saved state, so they get the feeling that the app was always running. Tight integration with Google products like Maps, Docs, GMail etc. Video (including WebM format, which will be directly supported in Gingerbread). Interfacing with the phone through the SDK: camera, contacts (address book), SMS, MMS, calls, GPS, accelerometer, magnetometer. Wide-range of android applications from Business, Education, Lifestyle, and Social Networking to Travel, Finance and Entertainment. Several apps available on Android Market and many more under development. Efficiently gather client’s requirements and develop apps quicker, and cost effectively. Separate teams handling definition, interface design, animation, coding, development and testing. Ensure that apps are error/bug free and are reliable and stable. Provide support for Android app submission. Free technical support for issues related to the android applications. One stop solution for diverse requirements related to android application development. Improved support for a variety of devices in your marketing plan. Easy upgrades and version changes, that are cost effective. Non-elitist placement of your message/brand. Expandable set of features with negligible time to market. Enormous support from Google and the open source community. To summarize, we have expertise in almost all areas of Android. So if you want to create the next world-changing app, get in touch with us.